Vineyards at Mardi Gras in Jefferson Texas at the Knightlight Theater. 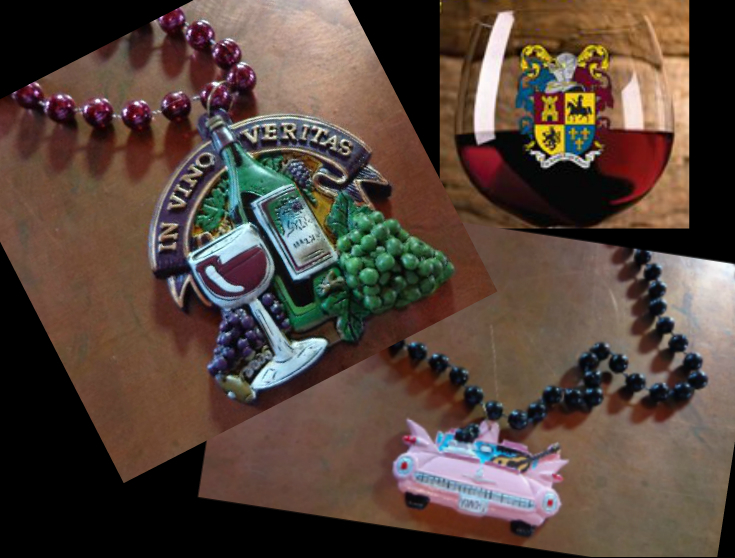 The Knightlight Theater is hosting its second annual wine tasting “Vineyards at Mardi Gras” celebration on Feb. 8 & 9, 2013. As a special treat this year they will also be featuring Josh Davis the young and very talented Elvis Tribute Artist. Two of the vineyards coming that I know about are Crump Valley Vineyards and Enoch’s Stomp Vineyard. I am looking forward to trying the wines from Crump Valley; we have not had any from them before. There may be others coming I just don’t know for sure, I will keep you posted. Friday night wine tasting begins at 7pm until 10pm with Elvis performing at 8pm. Saturday wine tasting starts at noon until 10pm, Elvis will play at 6pm and again at 9pm. Admission for the wine tastings is only $5 including a souvenir wine glass to take home. Tickets for Elvis Tribute Artist, Josh Davis are $10 each. The Knightlight Theater offers cheese platters, pizza and desserts contact them to get your tickets early if you like. And don’t forget to don your Mardi Gras costuming to round out the weekend. This entry was posted in Vineyard and Winery by Tammy D. Bookmark the permalink.